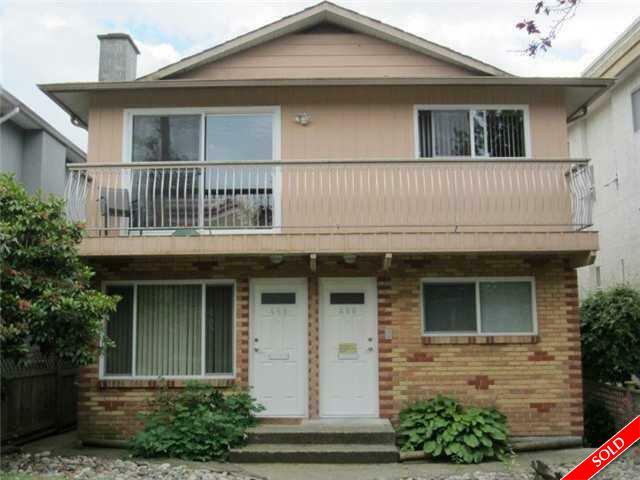 Description: RM-2 zoned Legal up & down Duplex that rents for $2100 up & $1950 down, with tenants paying own utilities. Strategically located in the popular Main Street corridor. Top floor suite features 3 bdrms, 2 bthrms, with an updated kitchen. Downstairs also an updated 3 bdrm 2 bthrm suite. Both suites have in suite laundry, newer dishwashers, lighting fixtures, double glazed windows and painted interior. New hot water tanks for each suite, and each suite has its own furnace on its own meter. Large 4 ft crawl space - lots of storage space. Outstanding location! Buy now to live in/rent out &/or hold for future development potential. School catchment: John Oliver high school, Mackenzie elementary. Open Sat Oct 4, 2:30-4pm.